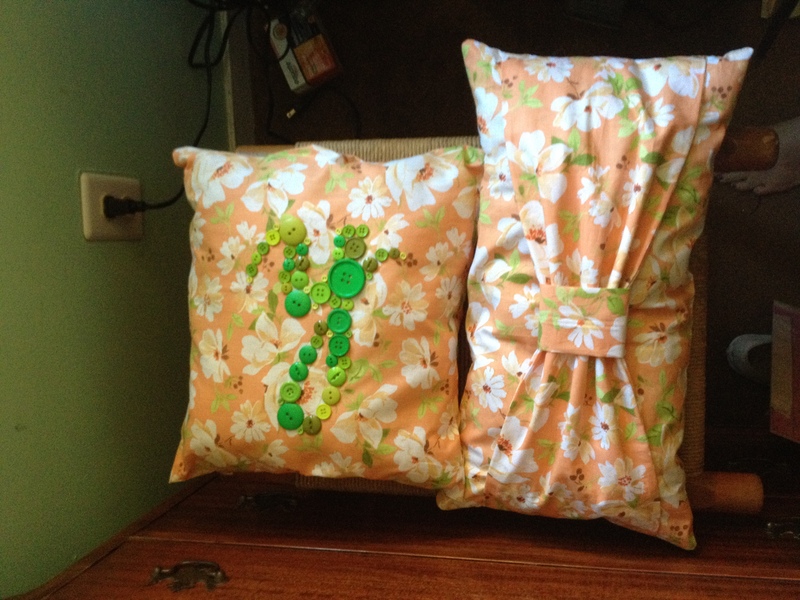 Remember once upon a time when we made those nifty little monogram pillows at Craft and Wine Night? Remember how incredibly lazy I was and how I didn’t want to sew it so I just used “Heat and Bond”? 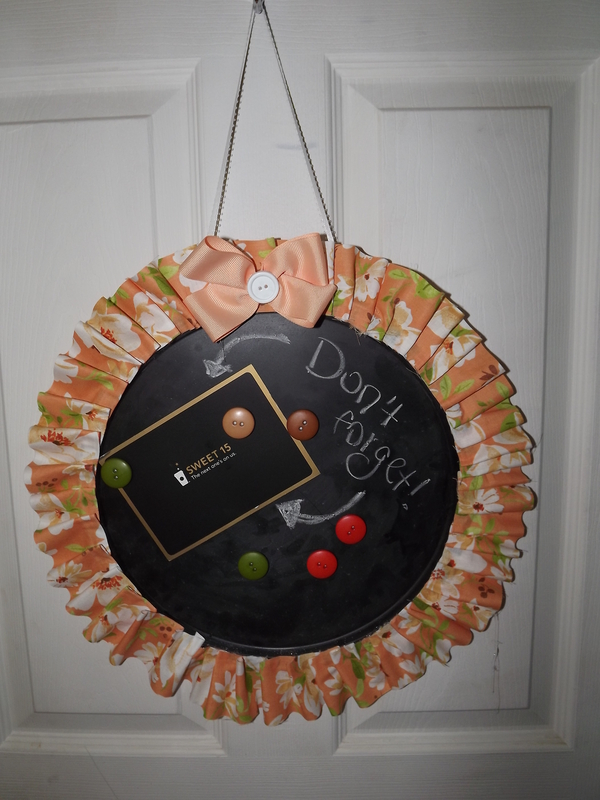 And then when I made the chalkboard sign out of the cookie sheet with the matching fabric? Well, to say I have a lot of that fabric and that I love it is an understatement… so I decided to make a matching throw pillow. 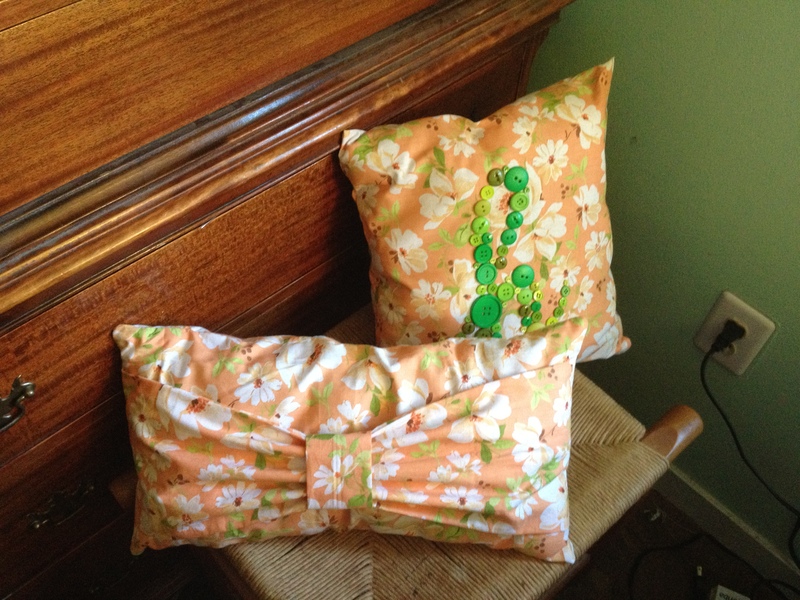 I have decided to make at least two more, in similar fabric and colors for the apartment. I’ve been thinking a lot about future decorating schemes for my place, but I’m not a hodge podge kinda girl when it comes to the interior. Maybe when I was little and maybe a bit back in college (and at home, I have no choice because I just have TOO much stuff in two small bedrooms), but now, I like my stuff to match. Having a ton of this fabric is perfect for this. And I can’t wait to finally get my hands dusty with decorating! The excitement I get over being domestic is probably really disgusting. 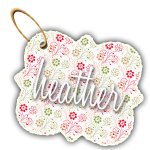 The whole excitement over food shopping, decorating house, cooking dinners (except when laziness takes over)… how is it that I am a 24 year old mother with no children? Then again, I’m also an 80 year old woman stuck in a 24 year old body, but I digress. Maybe it’s the fact that during my winter move, it will be mine. Something I’m taking care of on my own. My own place, with my own decorating scheme and my own pizzazz. With a pet in tow for my desire to nurture. 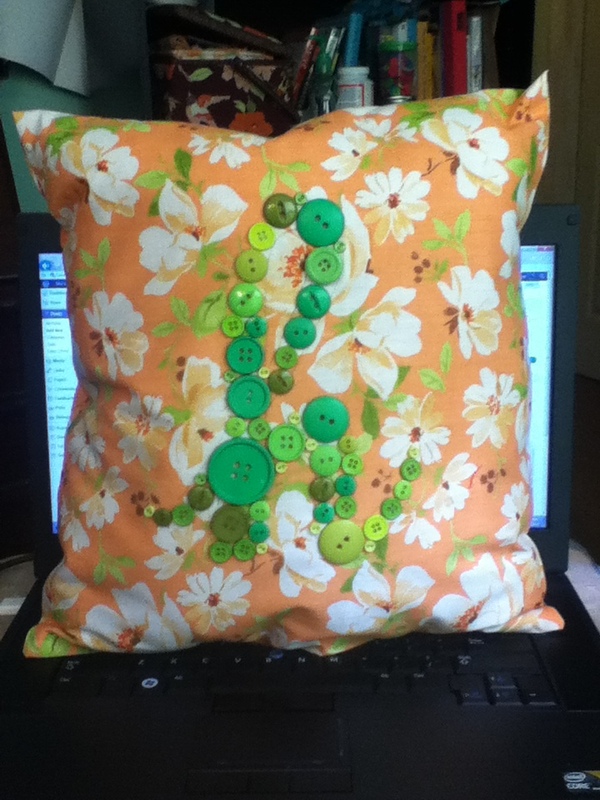 But anyway, please see my additional pillow where I actually took the time to SEW it… as in with a SEWING MACHINE. I know, bonkers, right? I finally ended my lazy road of no-sew and unpacked my little sewing machine from storage. 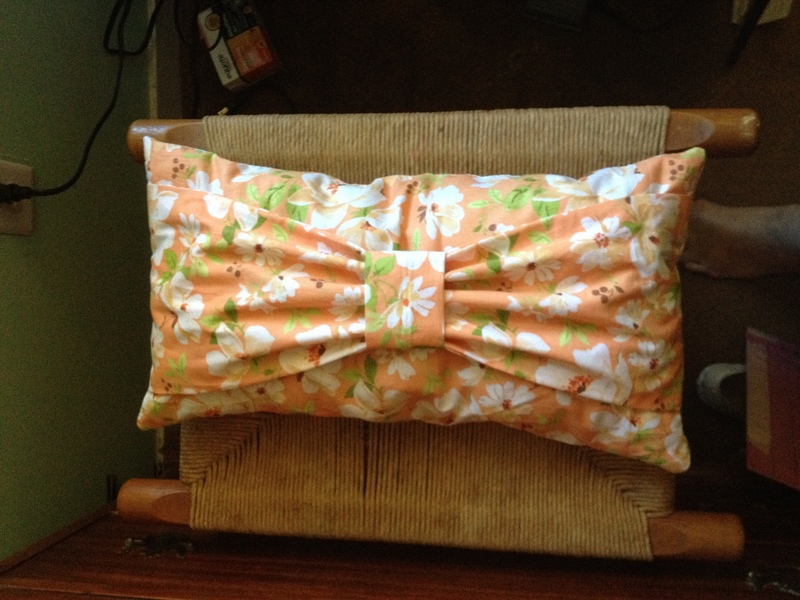 I used the same idea I had with the other bow pillow I made during Craft and Wine night… this time I actually took the time to sew the bow fabric within the pillow for better security (and it looks nicer, I must be honest). This is the pillow stuffed! Finally we got one stuffed! SUCCESS! I ended up sewing the hole at the bottom. 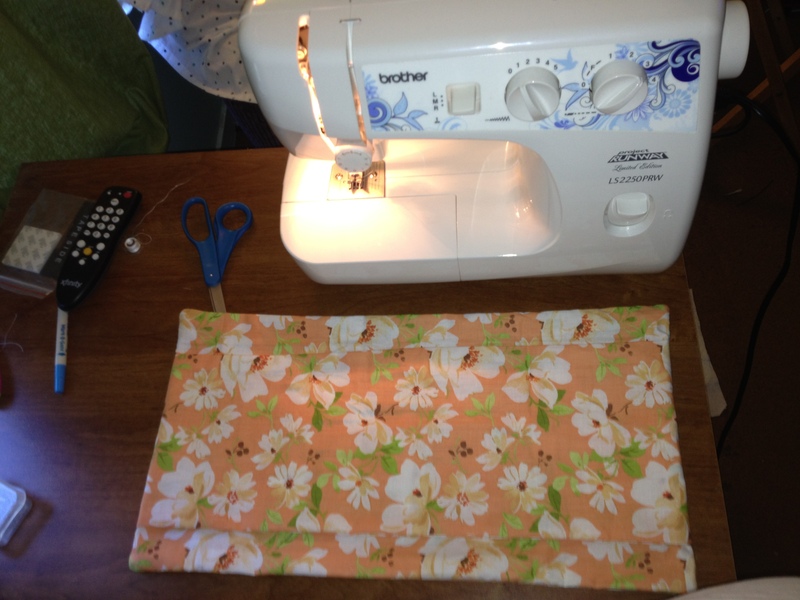 I cut out two longer rectangular pieces of fabric, and two smaller (width wise). 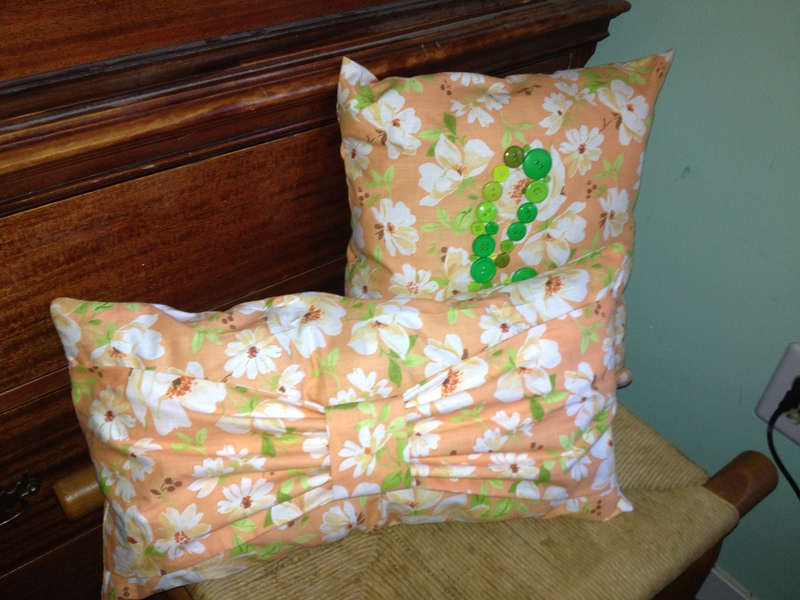 I sewed the smaller two first and ironed them to make sure it looked clean. 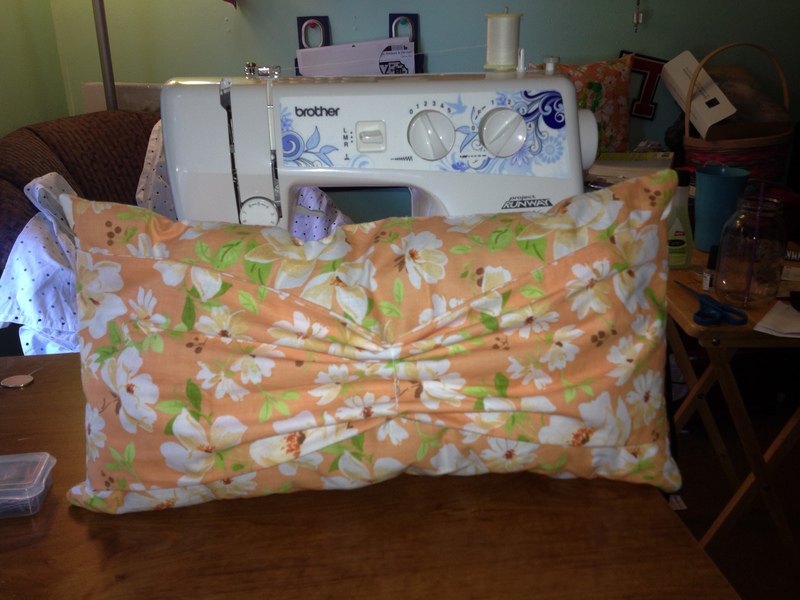 I then sewed them all together while leaving a small space to turn it right-side out (as seen above). 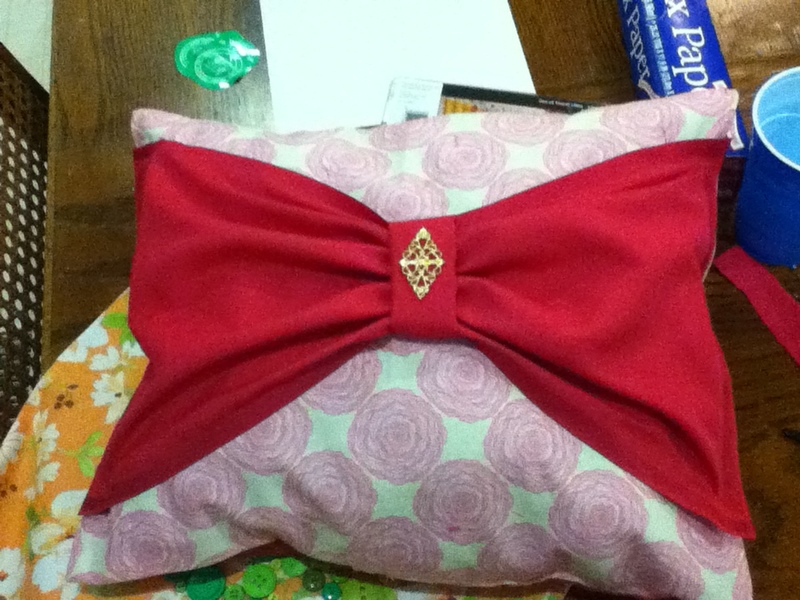 I then sewed and wrapped the middle to look like a bow after I stuffed it with stuffing. The it was time to take some extra scraps to wrap around the thread and cover it up. Tada! Matching throw pillows! It turned out well I think!